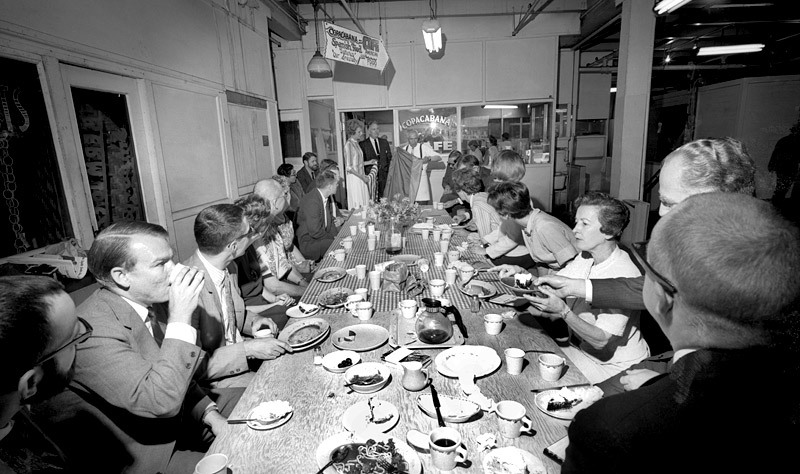 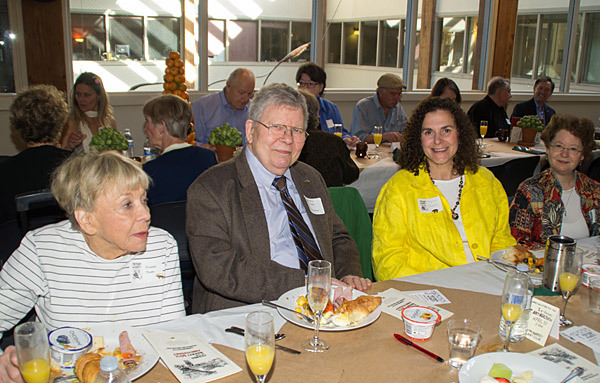 Friends of the Market members, past and present, gathered April 30, 2014, at the Market’s Atrium Loft to celebrate its 1964 founding with a 50th Anniversary Commemorative Champagne Breakfast. 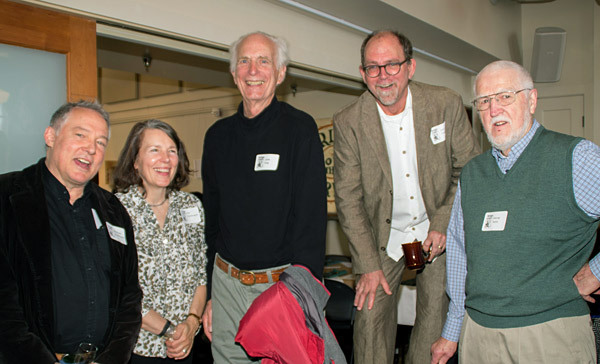 Members toasted the visionaries and leaders who met at annual champagne breakfasts during the 7-year campaign to “Keep the Market”. 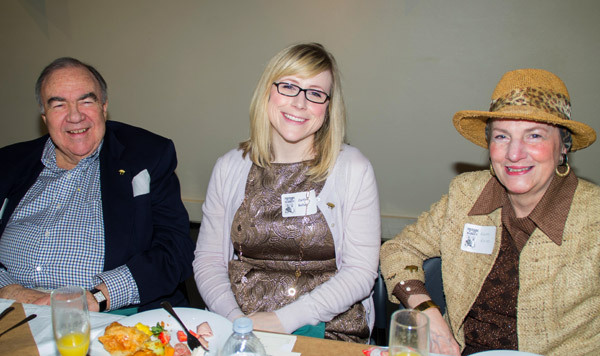 Ed Singler, FoM President, welcomed everyone. 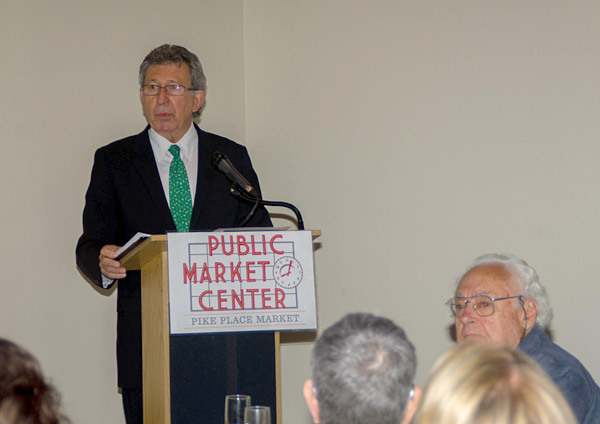 Keynote Speaker, Former Mayor Charles Royer, focused on the hard fought political battles which resulted in passage of the 1971 Market Initiative establishing Pike Place Market as a Historic District. 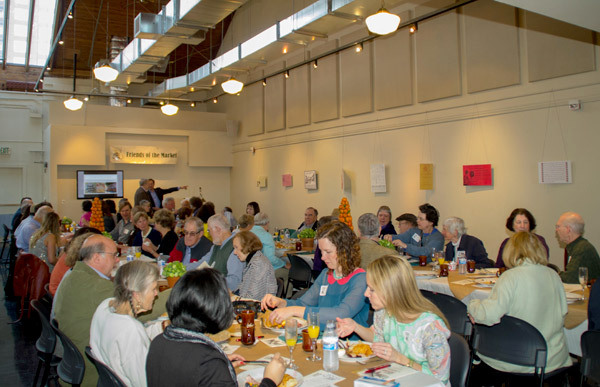 Jill Ryan, FoM board member, described the Friends successful completion of the Market Art Project; an effort to repair and restore historic High Stall produce signs and identify and promote art in the Market. 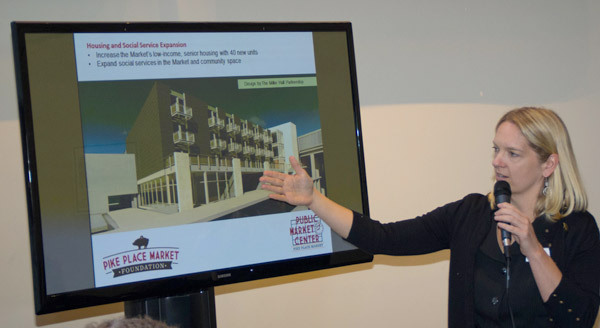 Lillian Sherman, Market Foundation Executive Director, followed with a presentation and illustrations of the new Market Waterfront Entrance. 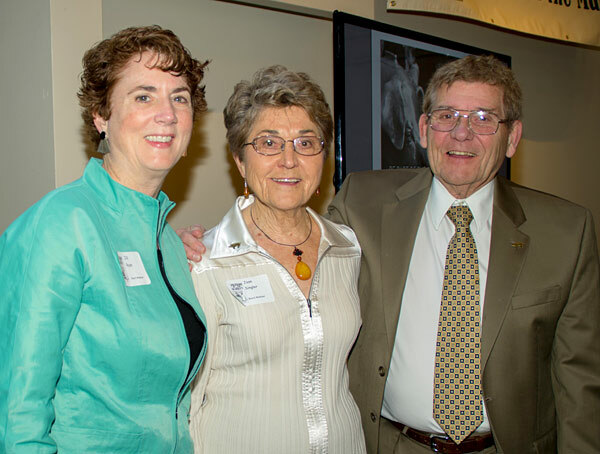 Joan Singler, FoM board member and Anniversary Committee Chair, thanked all those who contributed in-kind donations or volunteered time to make the celebration a success. 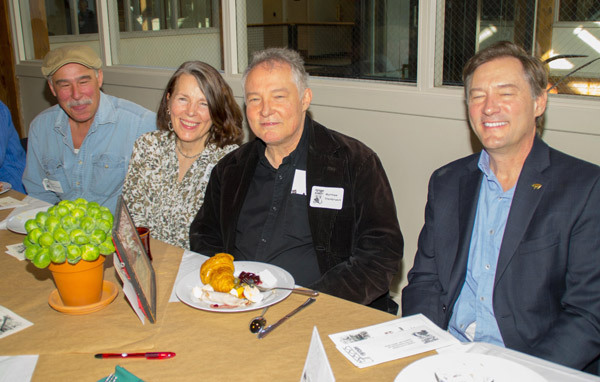 Fifty years later, Friends of the Market continues in its effort to preserve and promote the “Soul of the City” – Pike Place Market. 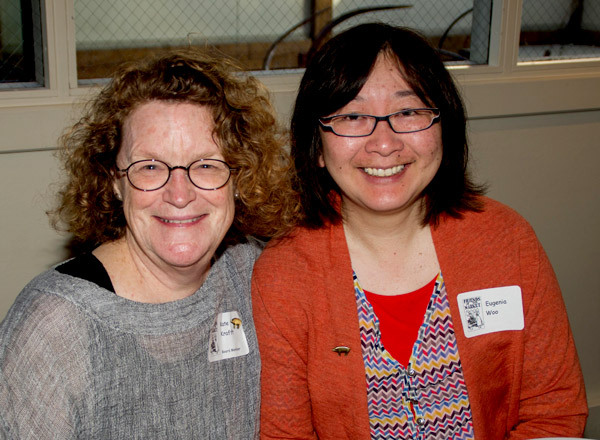 Sign up for the FOM Newsletter and receive the latest updates on FOM and Pike Place Market.